One of my favorite marketing sayings is, "the best call-to-action on the internet is a video play button." Because it's true. There are plenty of statistics to back-up the power of the play button — like this, this, and this. But if you're like me, you've always wondered about the methodology — how the stats seem to treat video like a one-size-fits-all solution, even though there are many different kinds of videos. 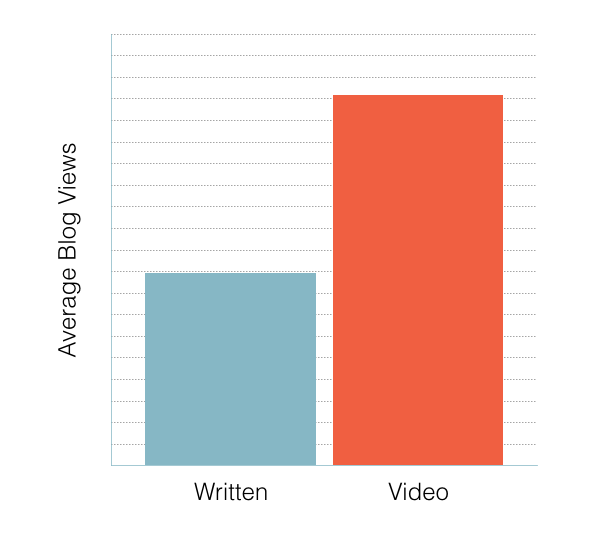 That's why I like our short video case studies, because this one is a simple comparison between video blogs and written blogs distributed in the exact same manner — with very different results. 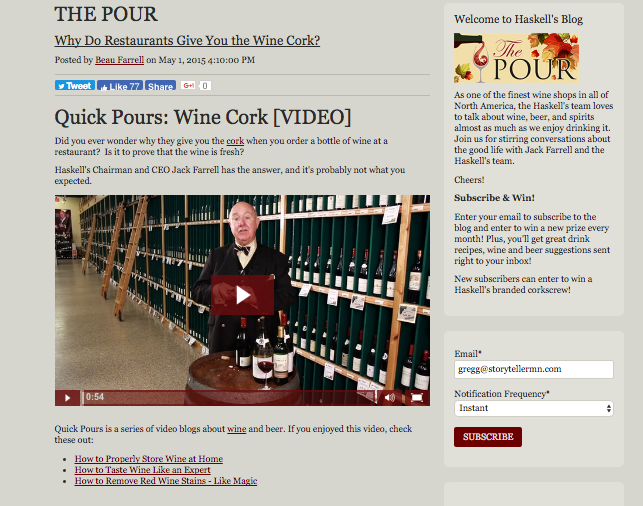 In fact, watching the success of Haskell's video blogs is what made me a true believer in the power of the play button. 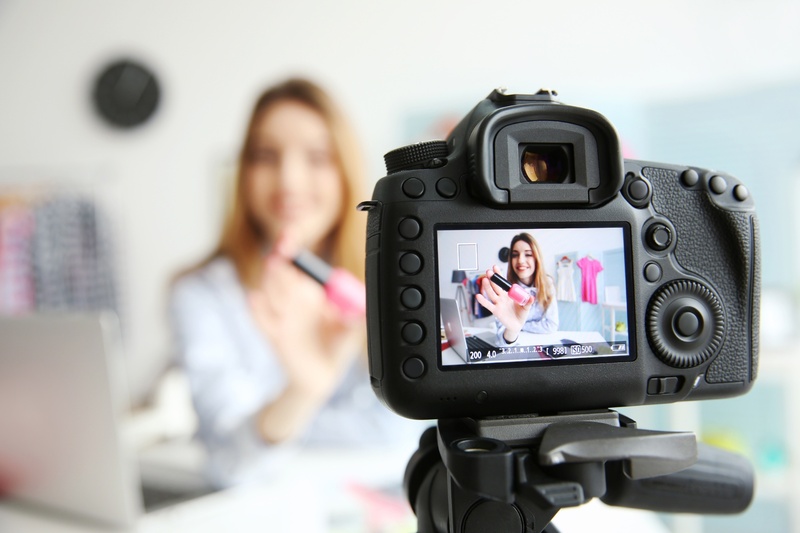 A video blog is a short video, usually one person, for one minute, on one topic, that shows a company's expertise, much like the written blogs that are at the heart of Inbound Marketing. We do both for Haskell's, which allows us to compare their traffic precisely. We research their keywords the same way, post them on the same website, and distribute them on the same social networks (to the same audiences). So it's fair to attribute the results to the difference between text and video — particularly as sample size grows. In an apples to apples comparison, the video apples almost always outperform their written brethren. Not every time — they have had some really successful written blogs, including one that's ranked in Google's top three for the term "graduation drink calculator" — but those are the exceptions that help prove the rule. We didn't stack the deck with great video blog topics going against average written ones. But over time, it became obvious that the orange bars (video blogs) almost always outperform the teal bars (written blogs). In fact, our average video blog for Haskell's generates almost twice the traffic. I should make one disclaimer. The spokesman for Haskell's is a one-of-a-kind character. CEO Jack Farrell has been the dominant person in the Minnesota wine scene for decades, and the camera loves him. The guy knocks out most of his video blogs in one take, and he has a personality that just takes over the screen. Still, we've seen similar numbers with all of our video blog clients, so I've come to believe it's more about the power of the video blog than the quality of the performer. Why do they perform so well? I have some theories. 1. Video blogs are unique. I mentioned that we use the same keyword research process to create our titles, but so do other marketers. So, when there are ten written blogs about something like "5 ways to x," a video blog stands out from the others. The Haskell's blogs really perform well on Facebook and Twitter, and I think it's because people are more likely to share something they realize is unique. 2. 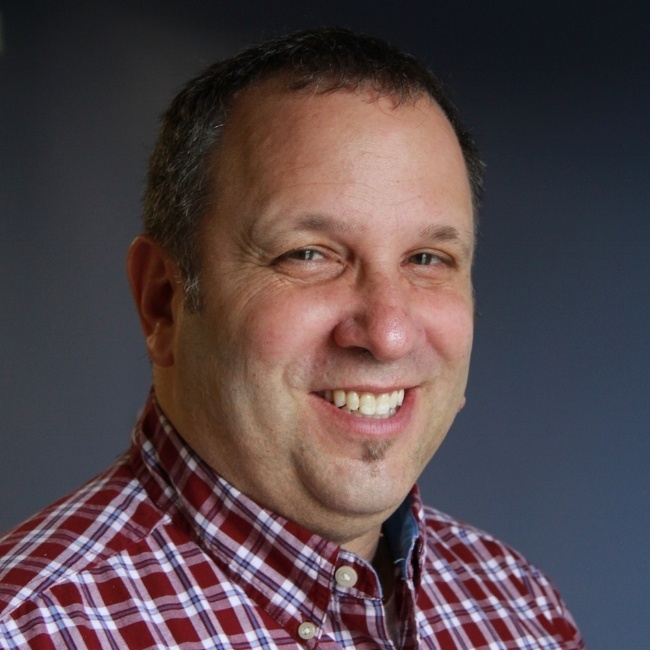 Video blogs also show thought leadership and expertise. Why is that important? If it's a competition between Jack Farrell explaining something and some faceless writer, I'll take Jack Farrell every time. 3. Video blogs are ideal for demonstrations. Most of the top searches on YouTube are for "how to." You can write intricate step-by-step directions, or you can show it with a video. How or why does something work? You can't beat a demonstration. This helps explain why we see great traction for product demonstrations on video blogs. 4. The power of the play button. Over time, we've all been trained to click the play button. That little triangle is an internet magnet. Why? Because we've learned that we usually like what we get when we click on a video (unlike so many other things that we click), so we keep coming back for more. Which brings us back where we started — the best call to action on the internet really is the video play button.